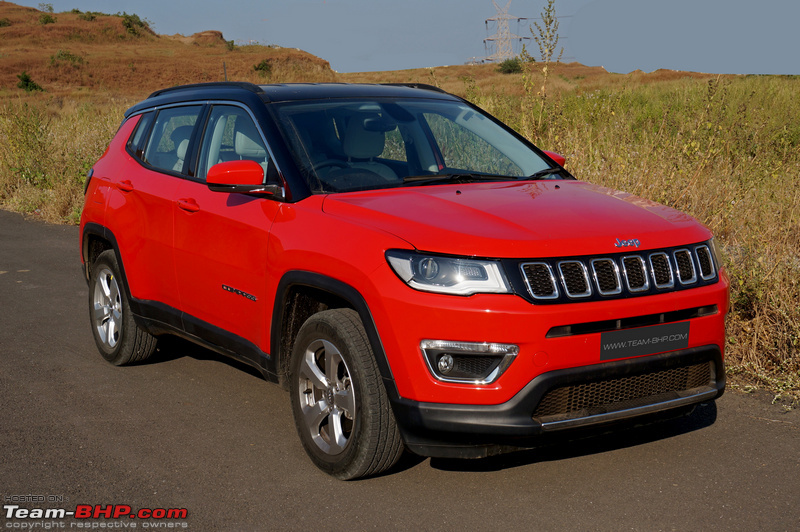 The Jeep Compass Petrol AT is on sale in India at a price of between Rs. 18.96 - 19.67 lakhs (ex-Delhi). Last edited by GTO : 12th December 2017 at 10:16. Since the Jeep Compass has already been reviewed by Team-BHP, this report will only focus on changes made to the Petrol Automatic variant. To read the full official review, click here. Last edited by GTO : 12th December 2017 at 10:15. The Jeep Compass was first launched in the Diesel MT avatar. As told back then, the petrol variants would be next. We were the first to report on the Petrol AT's production commencing back in September. 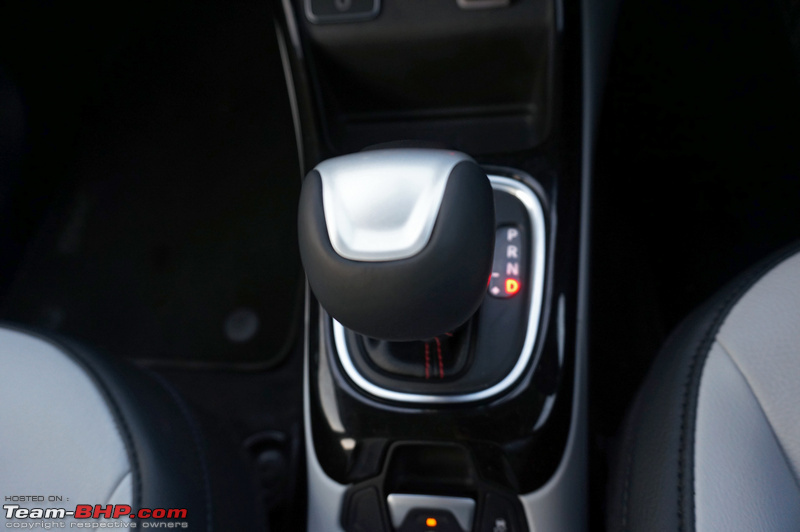 The petrol is also offered with a manual transmission, albeit only on the base variant. The Diesel AT is expected sometime in 2018. 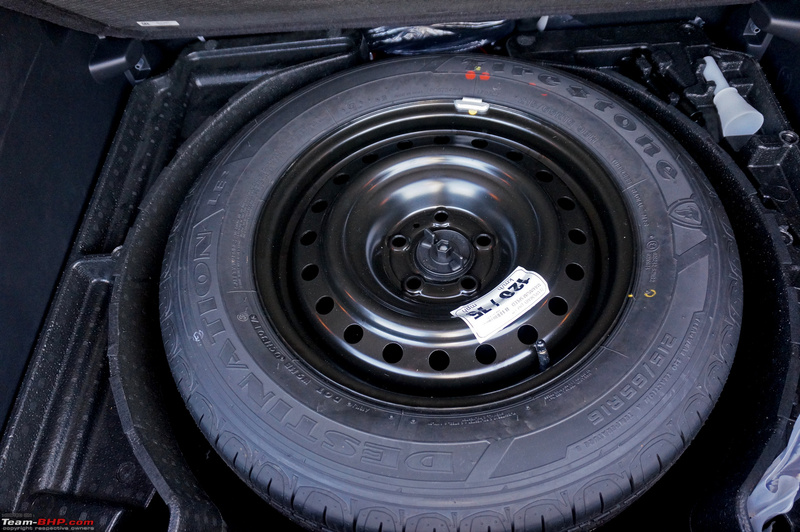 Walk around to the side, and the only difference you'll see is this boring set of alloy wheels. Why? Last edited by GTO : 12th December 2017 at 10:14. The Compass Petrol is powered by a 1,368cc, 4-cylinder turbocharged petrol engine that makes 161 BHP @ 5,500 rpm and 250 Nm of torque @ 2,500 - 4,000 rpm. 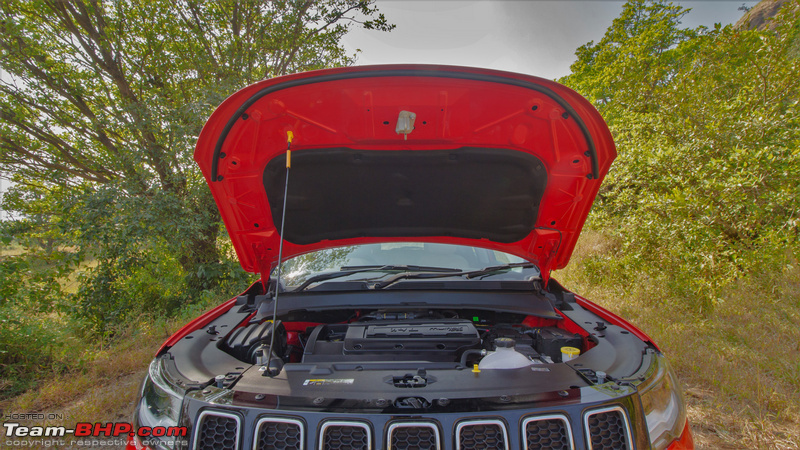 This engine is also the first from FCA India to get MultiAir tech. The first MultiAir engine was developed back in 2009. An electro-hydraulic system is used to control the air intake. This eliminates the need for a conventional butterfly throttle body. 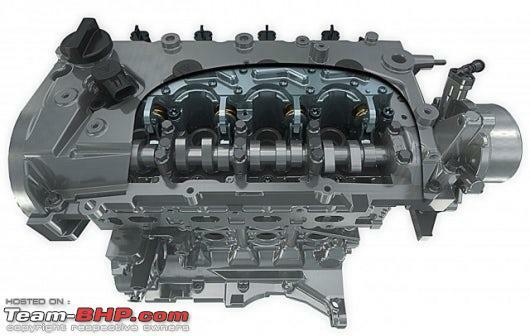 There are narrow tunnels / passages that connect the intake valves to the camshaft (these are filled with hydraulic fluid). An electric solenoid actuates this system. When the solenoid is closed, the cam's movements are passed on to the intake valves by the hydraulic fluid that can't be compressed. When open, the valves are free to close through the conventional valve springs. This electro-hydraulic link allows near independent operation of the two systems and an almost infinite control for opening of the intake valves based on the driving conditions & accelerator input. 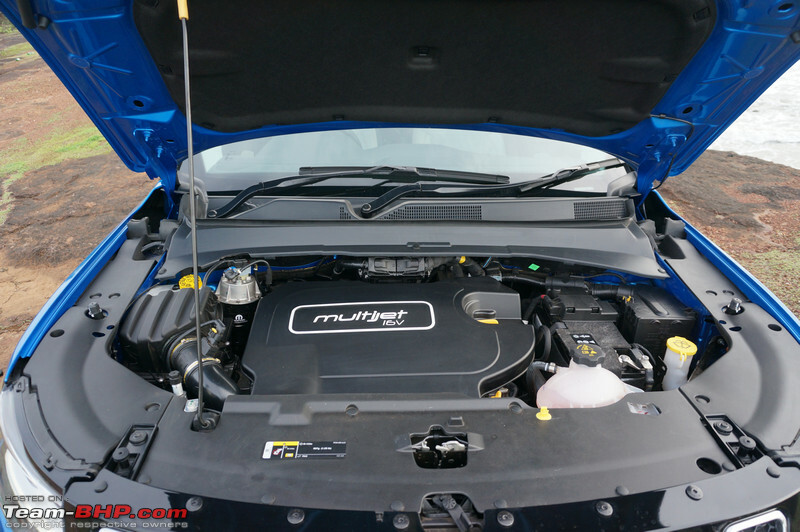 MultiAir was primarily designed to provide five different responses depending on the driving conditions. At idle, the intake valve is opened partially by closing the solenoid. This causes the air to rush into the combustion chamber, causing greater turbulence & leading to better combustion. 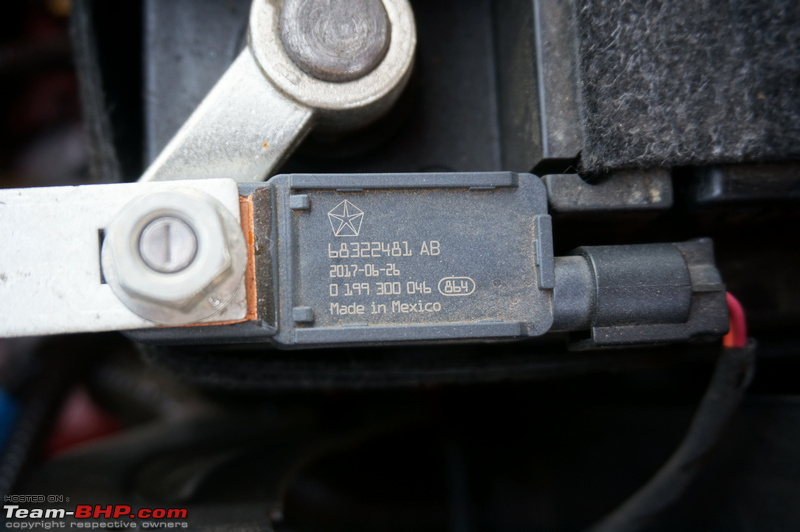 For low rpm torque, the solenoid engages at the end, closing the valve early. 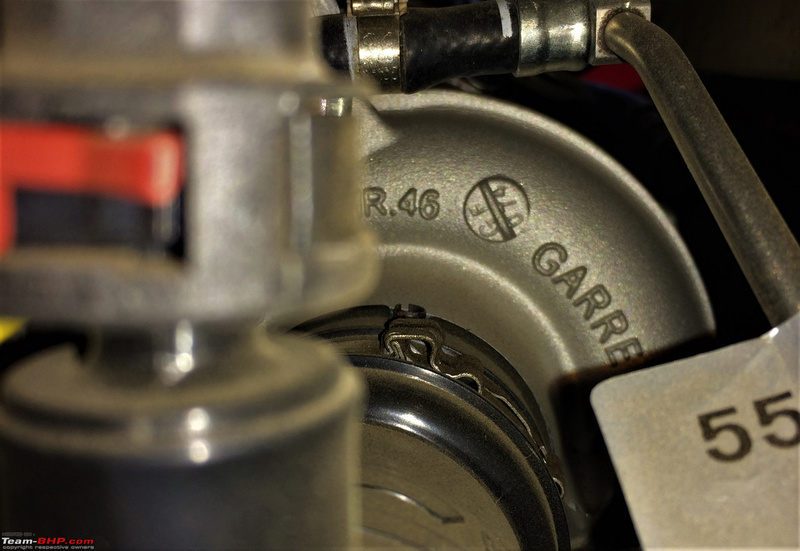 This reduces undesirable back flow into the intake manifold and fills the cylinder with the maximum air possible improving the efficiency. At partial loads, the solenoid opens early to finetune the amount of air volume, to deliver the required torque. During stop and go traffic conditions, the multi-lift mode is used. 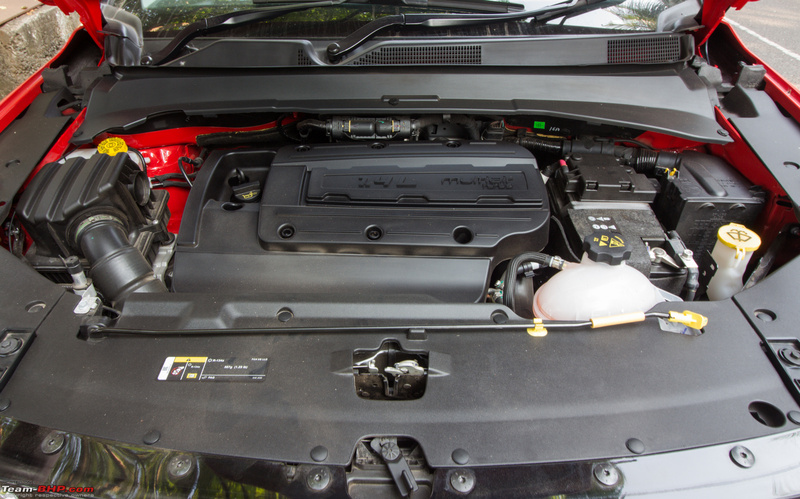 Here, the intake valve is opened twice during each intake stroke for better combustion at low loads. In the full lift mode, maximum power is provided for highway driving. The solenoid remains closed causing the camshaft to produce the maximum valve lift. While these are the five modes used, there are almost infinite levels of continuously variable valve lift profiles. 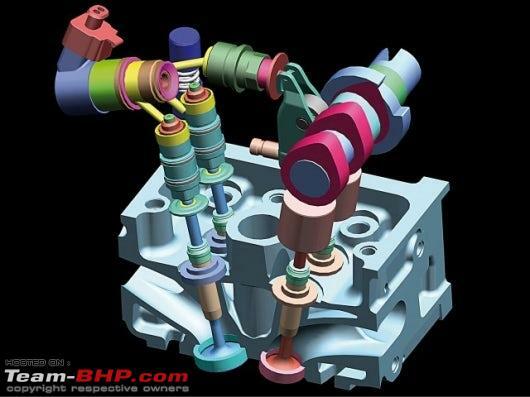 Other variable valve technologies like Honda's iVtec offer 2 cam profiles, one for lower rpm and another at the higher end, while BMW's Valvetronic Variable Valve Lift System (VANOS) uses far more sophisticated + expensive systems for achieving the same result. The BMW system allows the valve timing and lift to be varied, but not the cam profile - which is possible in the MultiAir. 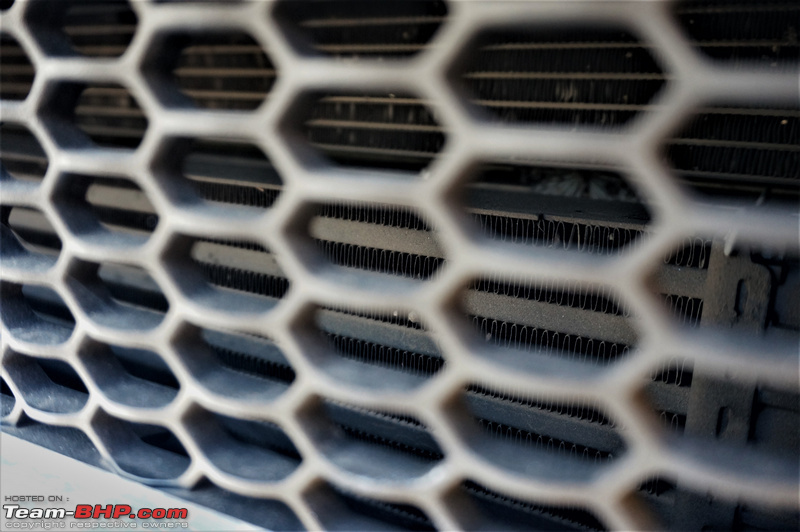 However, the most unique feature of the MultiAir is the fact that it can be retrofitted to existing engines - thus, when launched, Fiat didn't have to design an entire engine from scratch. 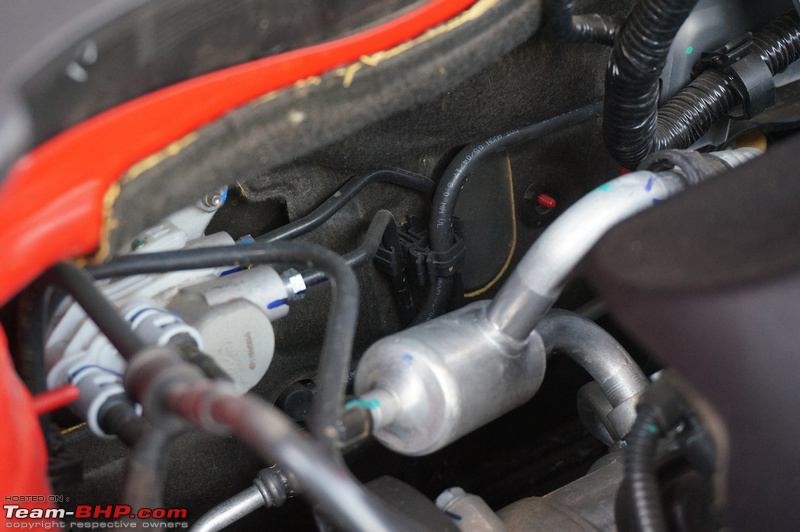 They just replaced the camshaft of the existing engine with this system on the intake side! 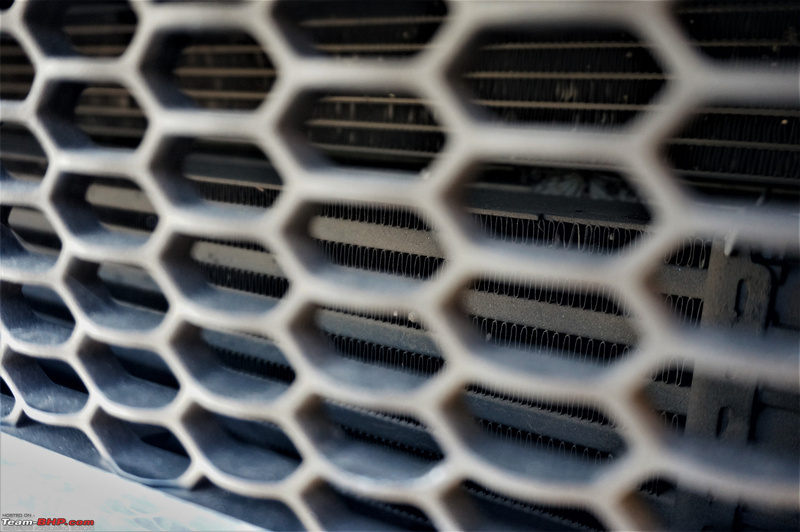 The company claims a 10% reduction of CO2 emissions, a 10% increase in engine power and a 15% increase in engine torque over conventional engines. 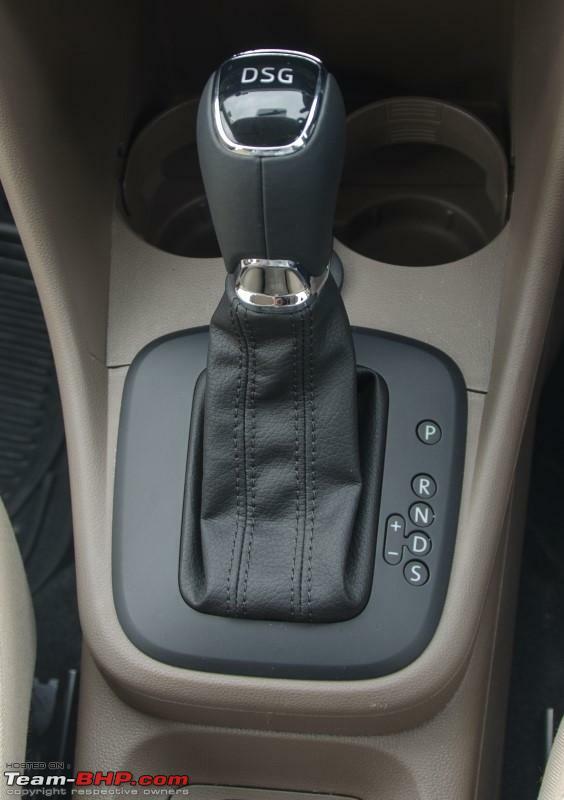 The 7-speed Dual Dry Clutch Transmission (DDCT) is available in the Compass Petrol AT. This gearbox is internally known as FPT C725 DDCT - the 7 stands for the number of gears and the 25 denotes the torque limit of 250 Nm. 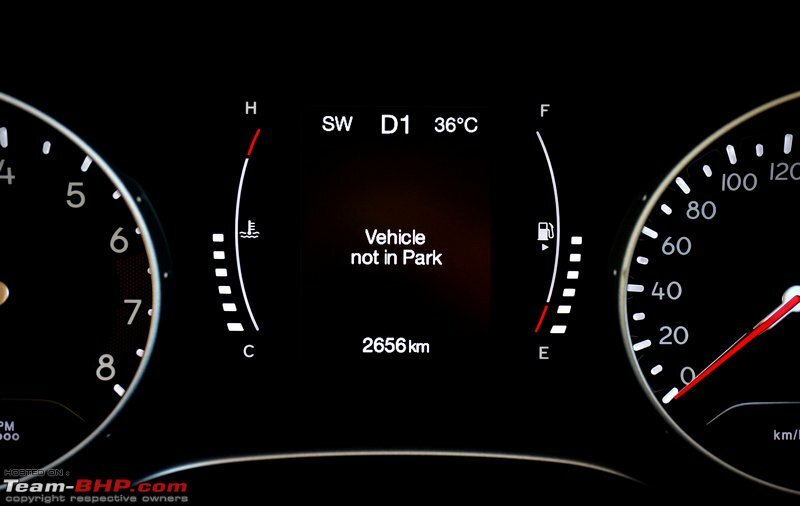 Since it has a limit of 250 Nm, the same will be available only on the petrol variant. This gearbox is suitable for front wheel drive layouts only. It was developed in 2003 by the joint venture between Fiat and GAC, and is currently manufactured at Iveco Automotive Transmission Co. Ltd. in Hangzhou, China. 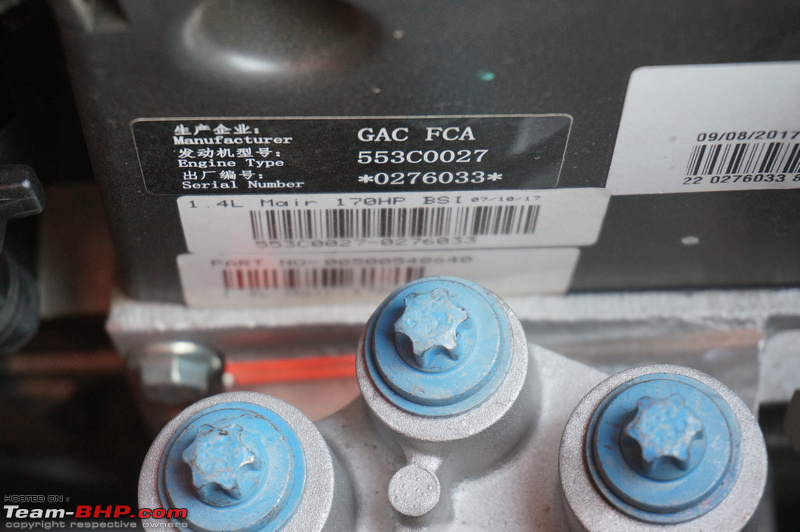 The other models that use this transmission are the Fiat Ottimo, Fiat Viaggio and Jeep Renegade - available only in China. 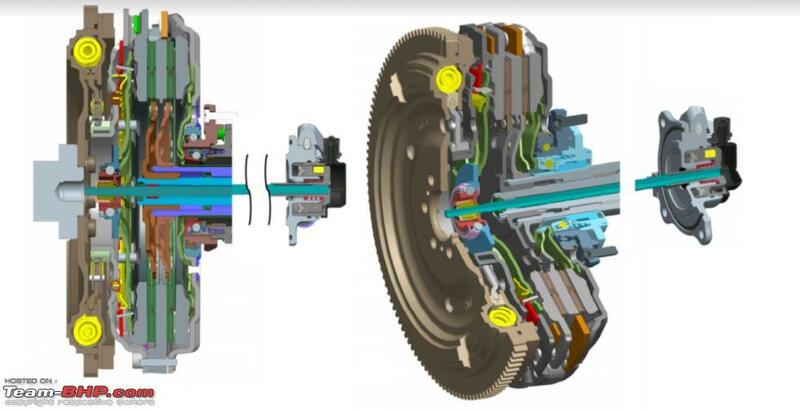 The gearbox consists of four sub-assemblies = base gearbox, an electro-hydraulic actuation system, a transmission control unit and dual clutch unit + clutch actuators. 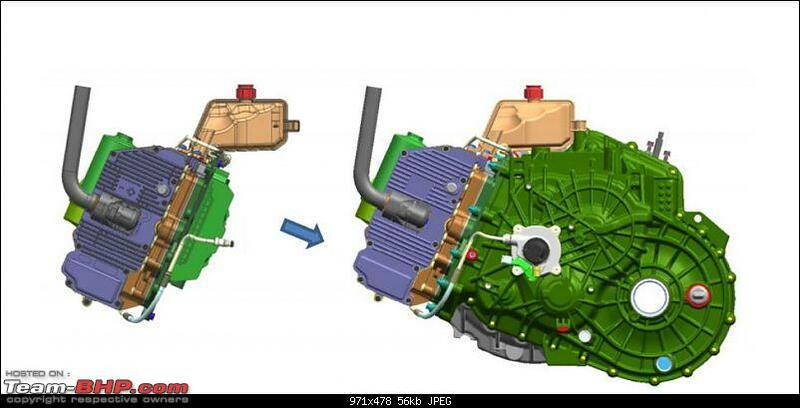 Fiat Powertrain Systems designed them in a modular fashion which ensured that the future gearbox designs are cost efficient. The electro-hydraulic actuation systems though redesigned, feature a standardized mounting system to the base gearbox. 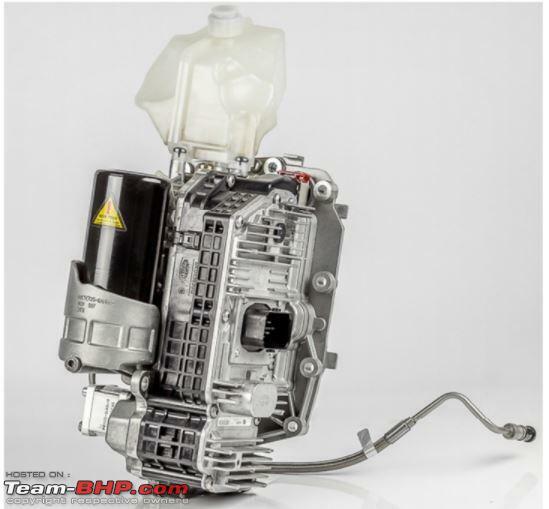 The C725 gets an electro-hydraulic clutch and gear selection mechanism. 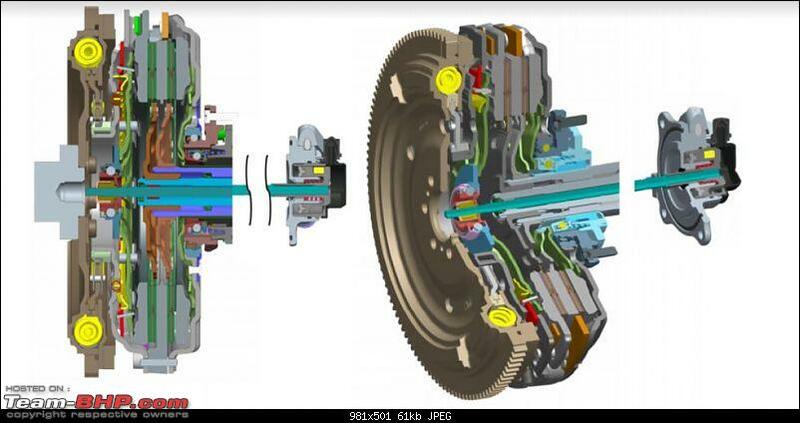 Magneti Marelli-sourced hydraulic actuation systems and control units are used in this gearbox. They are housed in a single module - the mechatronic control module (MCM). This ensures that the gearbox is an independent standalone unit. The MCM gets a dedicated, lifelong sealed hydraulic oil circuit that is used to actuate the clutches and gear shifting mechanisms. The gearbox gets two output shafts, one longer than the other. The longer one houses gears 1, 3, 5, 7 and reverse while the other has 2, 4 and 6. The parking pawl is located on the longer output shaft as well. The two clutches have odd & even gears associated with them. The odd clutch is actuated using a coaxial pull rod mechanism, while the even one uses a conventional hydraulic mechanism. 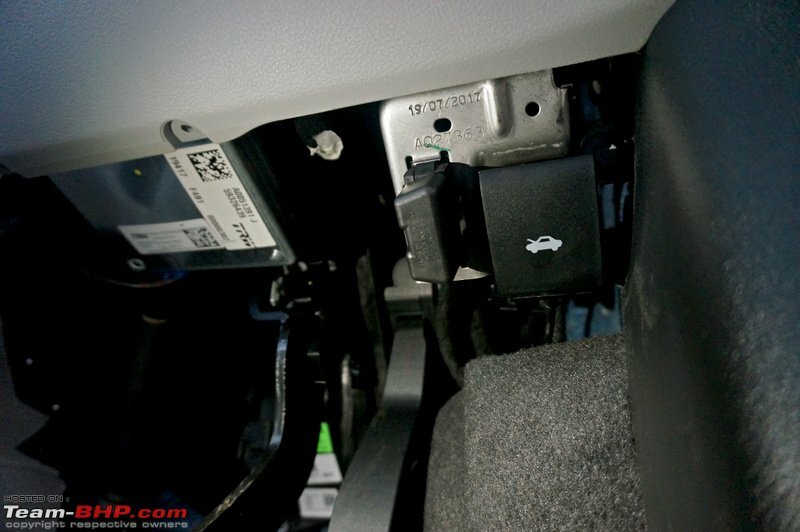 The actuator for the pull rod is located at the rear of the transmission. The odd gear clutch is normally closed while the even gear clutch is normally open. 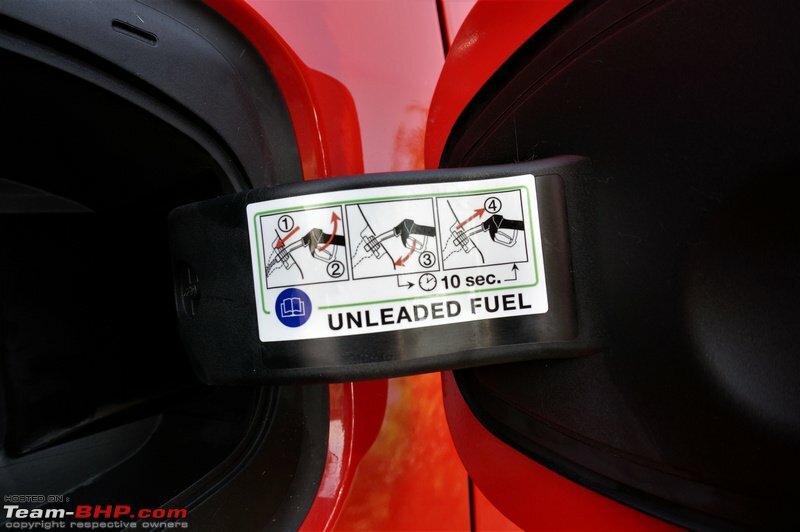 Fiat also claims that using certain design parameters, the total oil required has been reduced to under 2 litres. The gearbox weighs about 74 kg (dry); that's around 10 kg more than the Volkswagen 7-speed DQ200. Not much is known about this gearbox, but it should be noted that the other 9-Speed AT gearboxes from Jeep (particularly the ZF ones) are plagued with problems. We'll keep our fingers crossed on its long-term reliability. It is important to note that VW's DSG & Ford's DCT have both suffered reliability issues in India. Last edited by GTO : 12th December 2017 at 10:13. Get into the car and press the starter button with the brake depressed to wake up the turbo-petrol. 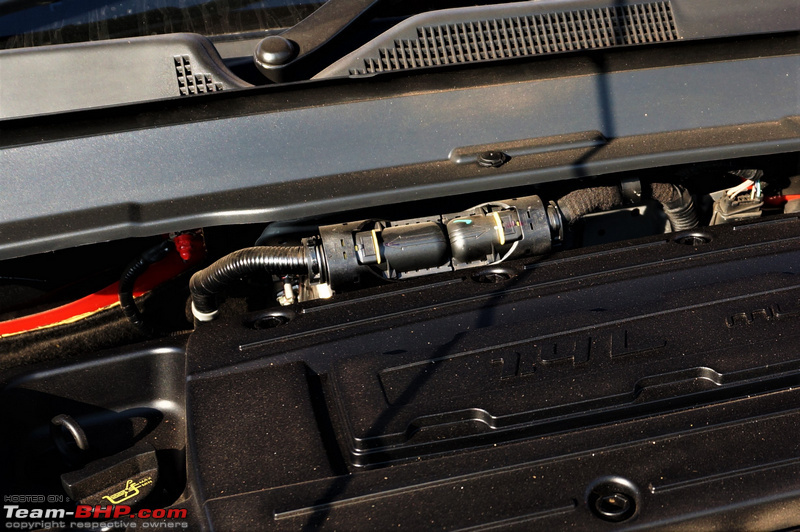 There is a hint of cabin shake on startup - accentuated by the fact that one doesn't expect this from a petrol engine. Some aspects of this motor are obviously similar to that of the Fiat Linea 125S & Abarth Punto. It can be said that it is the same old T-Jet engine, but now with MultiAir tech. As told in the previous post, the technology is responsible for the bump up in power figures. The Compass DDCT is a compact, good-looking petrol SUV with an automatic gearbox. This combo will definitely appeal to the urban dweller, more so due to the limited options offering this combination in the price band. Further, the light steering and tall seating position make it a breeze to drive in the city. The engine is audible inside the cabin, but it's not loud at idle. Slot into D, disengage the parking brake and lift off the brake pedal to move. Without any accelerator input, the car creeps at 7 km/h. 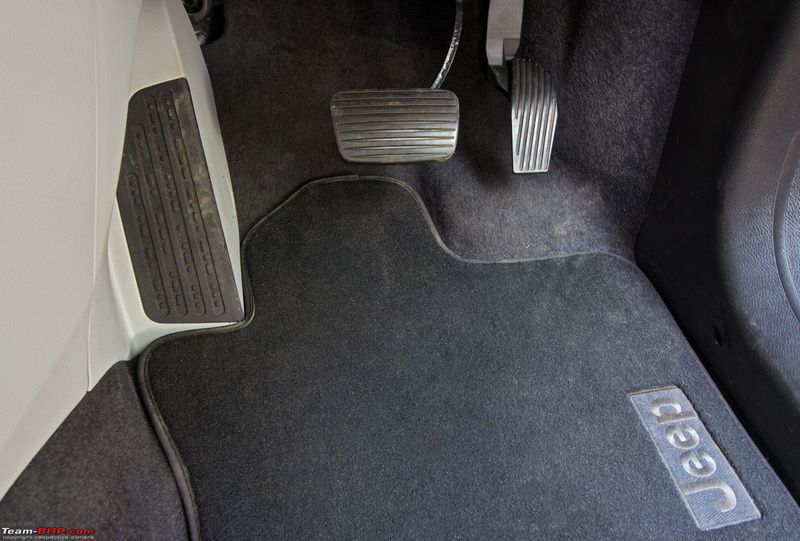 This is very useful in stop and go traffic which you can tackle with just the brake pedal. 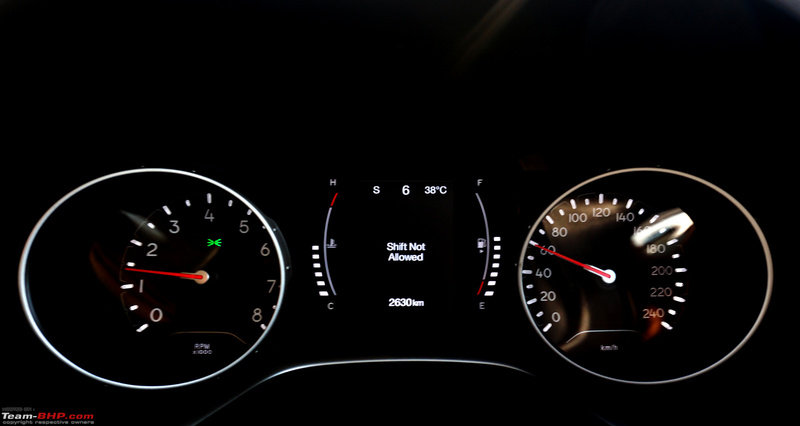 On accelerating, the car upshifts to 2nd after 10 km/h. The extremely short 1st gear is used only to get the Compass rolling from a standstill. 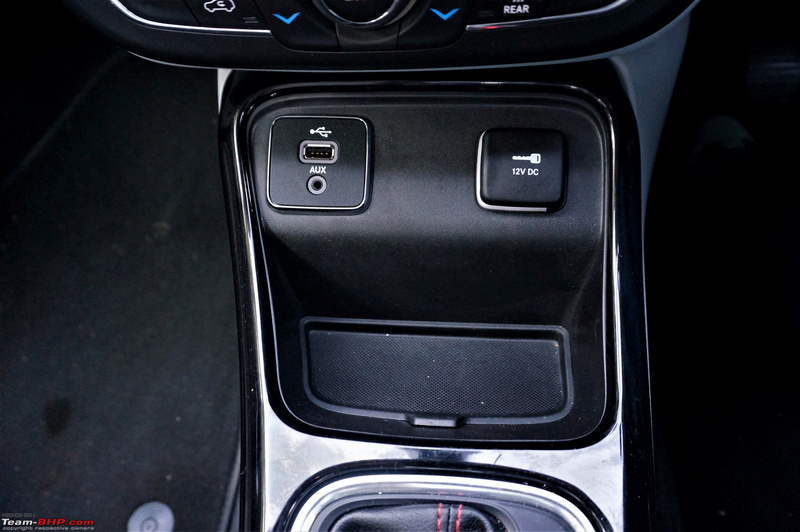 With an easy foot, the gearbox is smooth and most drivers will notice the gearshifts only when they watch the MID (gear indicator) or rev counter. Starting off from a standstill is smooth and seamless, and it has more than enough power for city usage. Within the city, in traffic, the Compass seems to love the 2nd and 3rd ratios - good in terms of power delivery as you will be in the power band, but not in terms of FE (some ATs shift up quicker). The experience is overall smooth. However, it must be noted that the gearbox can at times get dimwitted in stop and go conditions where the speeds wildly vary. It can take too long to choose the right gear, or at times, persist in the wrong gear for a couple of seconds before selecting the right one. 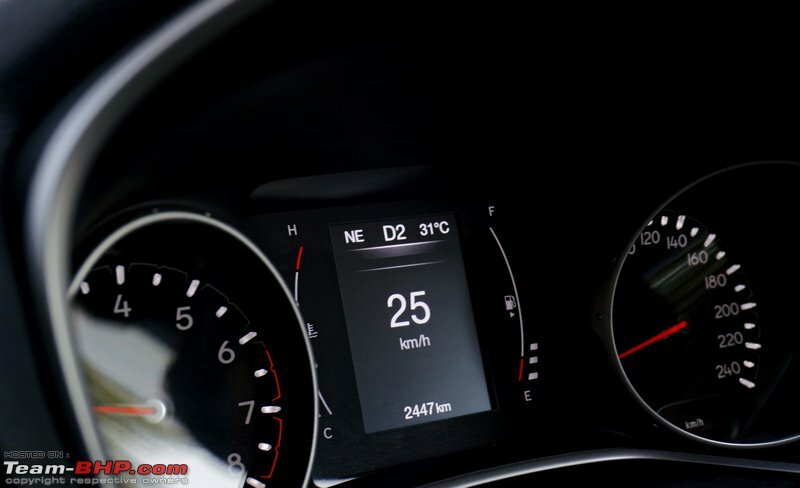 If you suddenly kickdown the accelerator in traffic, there are times when there is no response for 1-1.5 and at times 2 seconds, after which the turbo spools, the gearbox shifts down and you get a sudden surge of power with accompanying torque steer . This can take getting used to, especially when closing traffic gaps or during quick overtakes. The lack of a torque converter on the gearbox only adds to the delay; the gearbox doesn't conceal turbo lag. 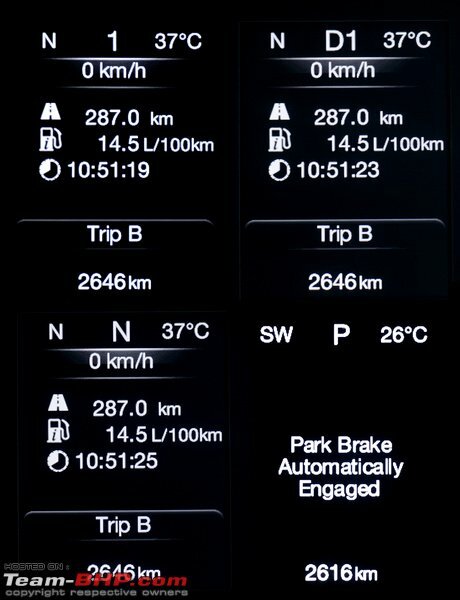 In terms of FE, drive it hard and it will guzzle fuel - unlike the Diesel ATs, Petrol ATs are very sensitive to FE & aggressive driving (ARAI number is 14.1 km/l). When you are at a traffic light and engage P, the electronic parking brake automatically engages. When the lights go green, slotting in D mode with the brake pedal pressed makes the electronic parking brake automatically disengage. 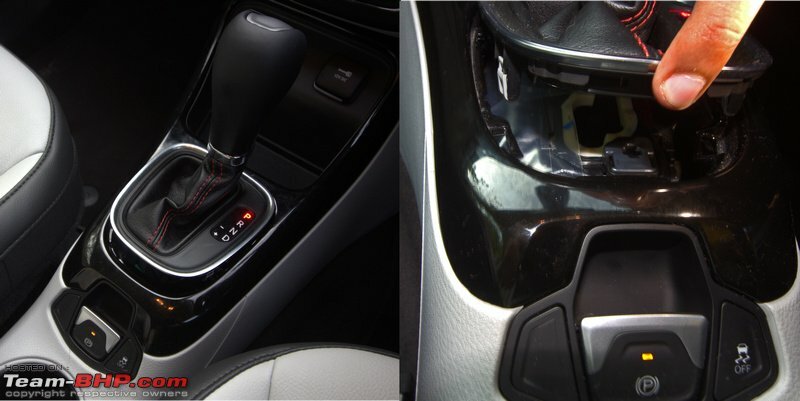 This is convenient & good for the gearbox's health too - if you park on an incline in a regular AT, the gearbox pin bears the stress. In the Compass, there is no load on the parking pin, as the handbrake is engaged automatically. 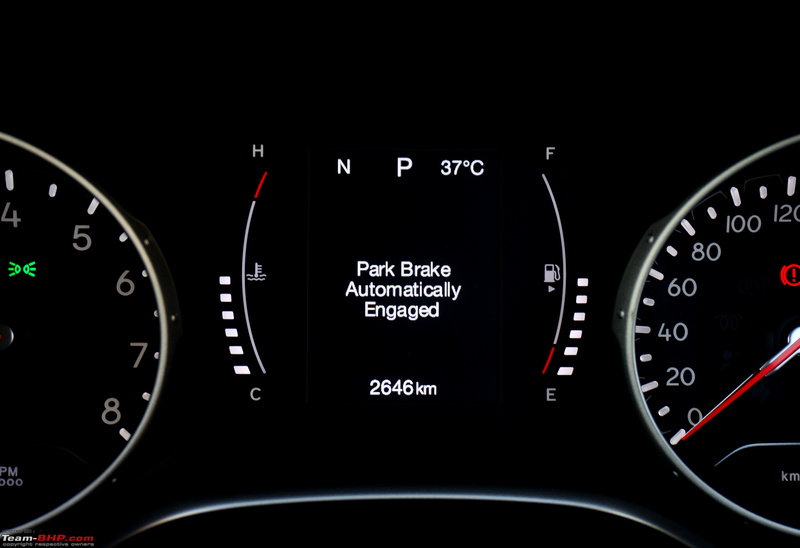 However, what is not cool is that every time you drive off after restarting the car, you have to manually disengage the electronic brake. This can be disabled (auto e-park brake setting), but we don't recommend it. 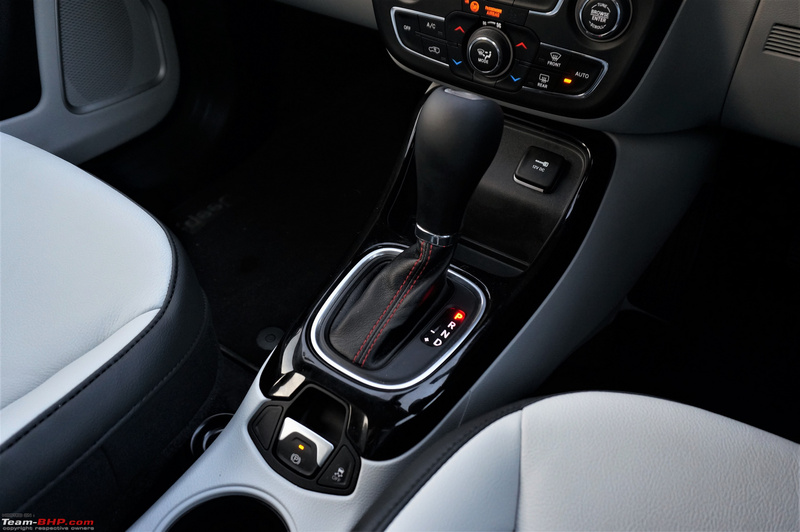 What Jeep should have rather done is that, with the foot on the brake and gear in D mode, the parking brake should have automatically disengaged (even when you've just started the car). 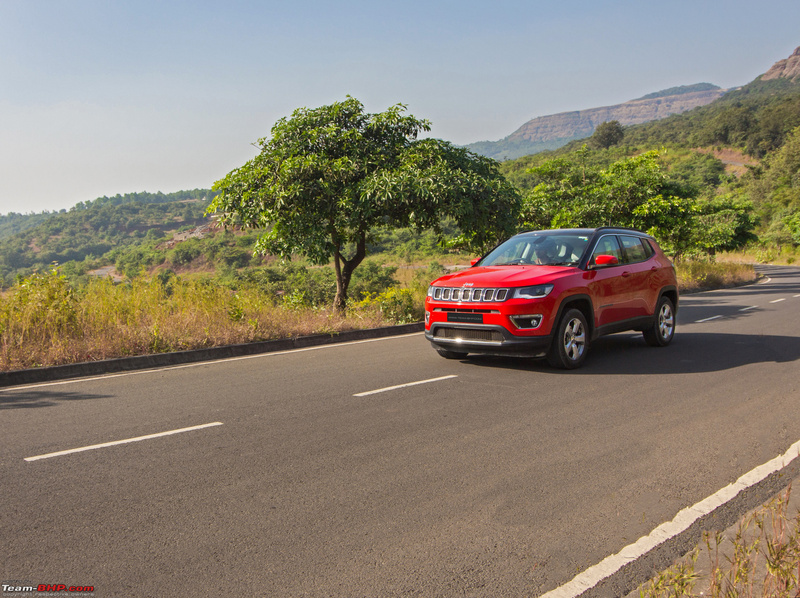 Keep the heat on the accelerator and the Compass Petrol will deliver fast performance on the highway, it'll munch miles quickly and you will easily set a healthy pace. The power & torque figures are excellent and no owner will be left wanting in this area. Still, you have to work this engine hard to extract the most out of it - power delivery isn't as effortless as in the diesel. With pedal-to-the-metal driving, the gearbox upshifts at just under 6,000 rpm. The final 5% of the accelerator has a kickdown mode - you can feel it with your foot and hear a mild click when you engage it. You have to press the accelerator all the way in for kickdown mode, and when you do so, the gearbox will aggressively downshift not just one or two gears, but at times even three. However, be mindful of the delay of 1-2 seconds sometimes - especially when you are overtaking. At high rpm, you will hear the engine in the cabin, but it won't cause annoyance. Although I must add, the 1.4L MultiAir is 'boomier' than you would expect in a Rs. 25 lakh car. The engine note is alright, yet certainly not what us enthusiasts would call a 'sweet enjoyable sound'. 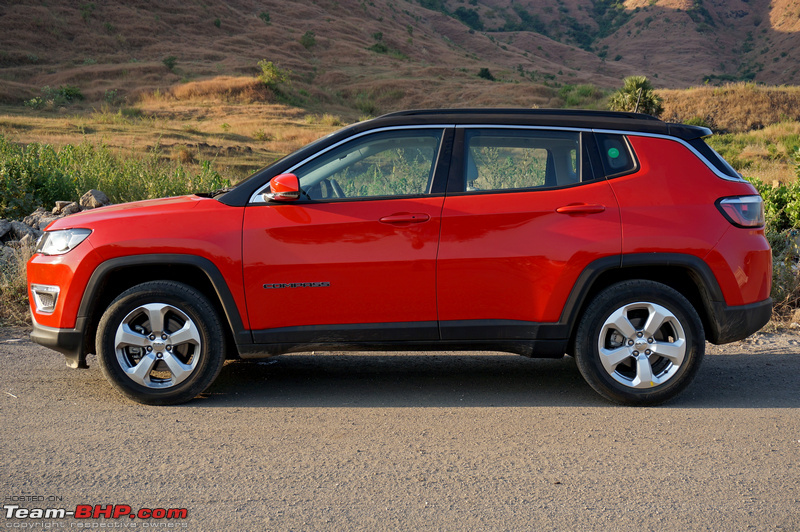 The tall 7th gear means that the Compass Petrol AT is extremely relaxed at expressway speeds. 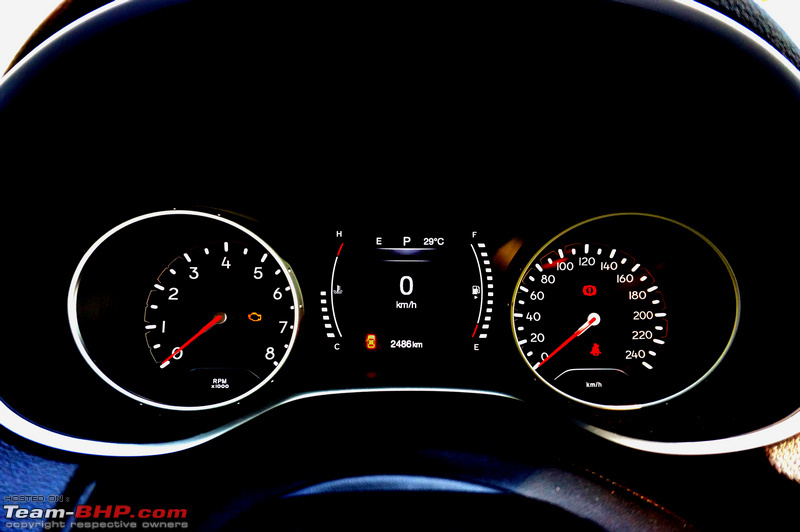 100 km/h comes up at just 1,950 rpm, while the engine ticks over at just under 2,300 rpm at 120 km/h. And at this point, the engine is right in the turbo zone. The mid-range of this motor is punchy and overtaking is easy. The 7th gear engages only after you reach speeds of 90-95 km/h, but on the way down, it will hold 7th till about 77 km/h before shifting to 6th. What you will undoubtedly miss on the highway are paddle shifters. At this price point, Jeep should have given us paddle shifters as they are immensely useful on highways, and when you're driving spiritedly. Because there aren't any paddles, you have to take your hand off the steering wheel for manual mode. Move the gearlever to the left for manual mode - push up to downshift and pull down to upshift (we prefer it the other way around). In manual mode, the engine revs to 6,500 rpm. When it reaches there, it will not upshift to the next gear. 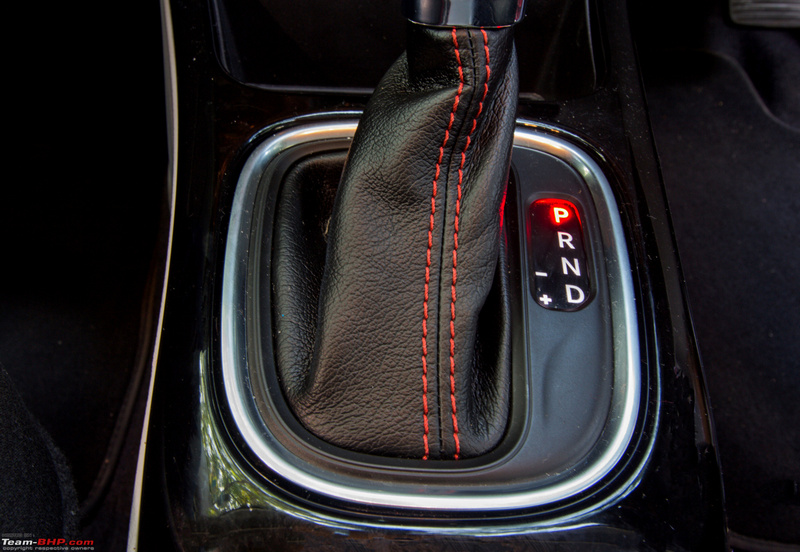 We like this better than other ATs which upshift automatically at the redline - that can catch you out in a fast corner! 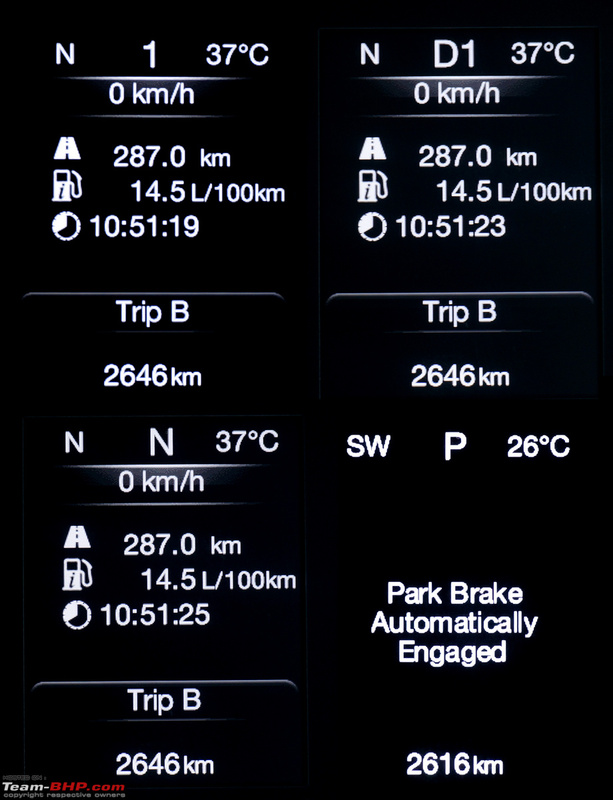 It's a different matter with downshifts where manual mode is way too conservatively tuned for a petrol. It wouldn't even allow me a downshift from 4th gear at 3,800 rpm into 3rd. Heck, there are some diesels out there which allow this!! 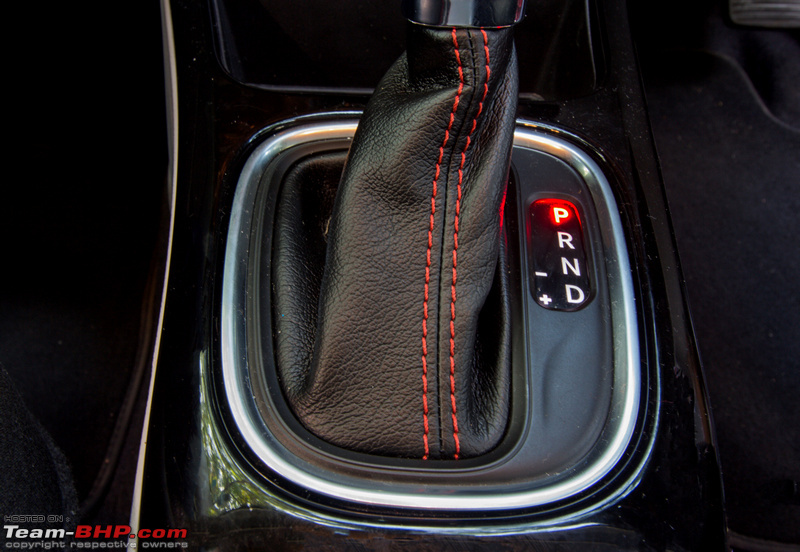 It should be noted that downshifts in manual mode are almost instantaneous, but the upshifts take slightly longer. 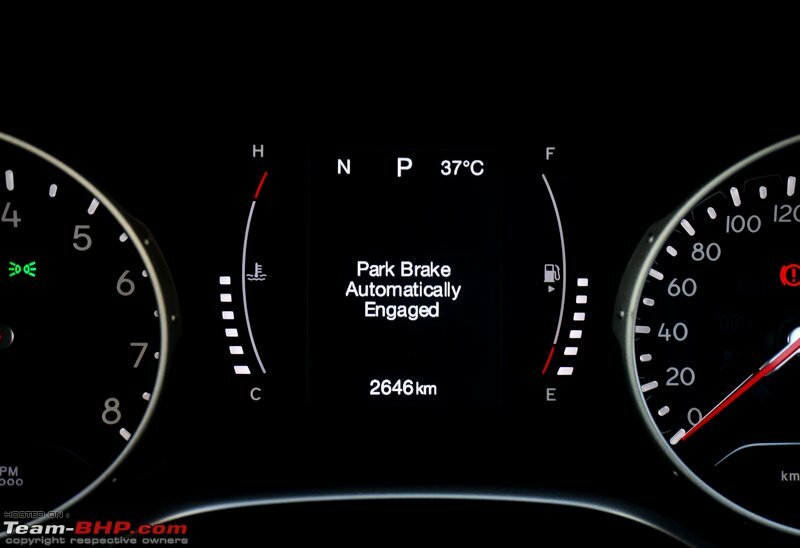 Jeep has missed the opportunity to provide a 'Sport' mode on the AT, which owners would undoubtedly use more often than manual mode on the highway. 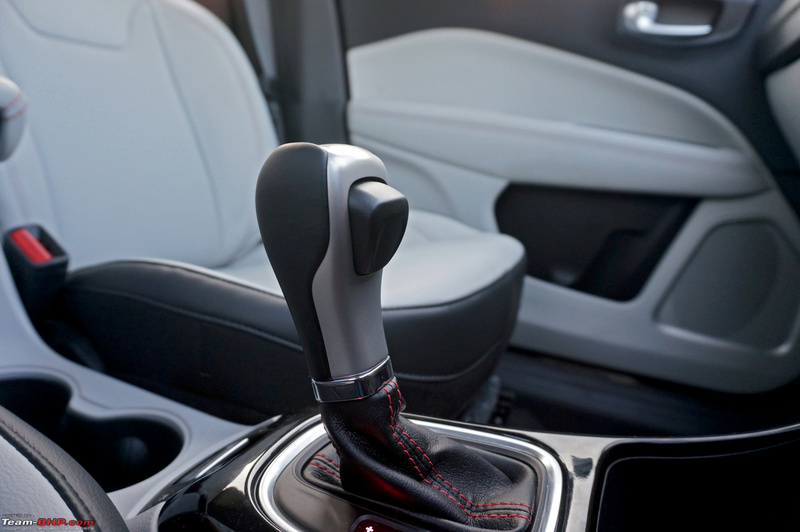 What catches you unawares is the torque steer! When climbing a ghat at full throttle, the torque steer in 2nd & 3rd got tricky as I had to concentrate on the corner as well as steering corrections to control the torque steer. Flooring it in 3rd, torque steer is definitely more than we expected from a 161 BHP car. It is lesser if you are accelerating from 0-100 km/h - i.e. running away from a standstill, but the torque steer comes in stronger when you are cruising and suddenly floor the accelerator - there is a sudden burst of power. Overall, we'll say that the Petrol engine does the job, but it doesn't impress like the 2.0L diesel did. 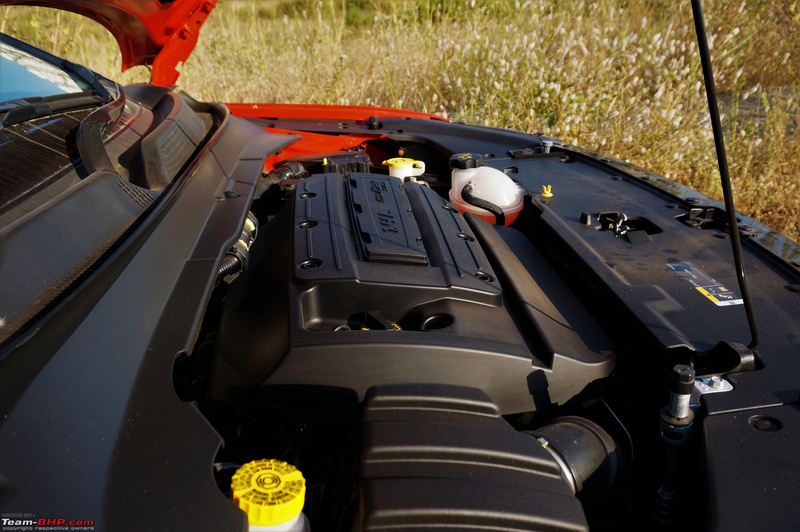 The Compass diesel has a jewel of an engine; it makes more power as well as torque. We look forward to the upcoming Diesel AT variant. Even the Petrol AT's gearbox is strictly average. On paper, 7 gears & dual-clutch tech puts it on par with VW's DSG, although in the real world, it can't match the speed & intelligence of the DSG. There's no comparison. 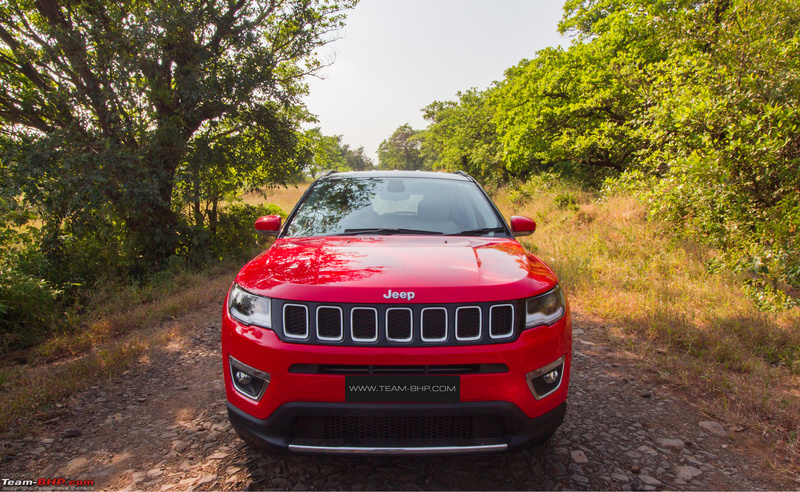 The laden ground clearance of the petrol version is 151 mm. That is 1 mm more than the diesel 4x2, but 4 mm lesser than the diesel 4x4. 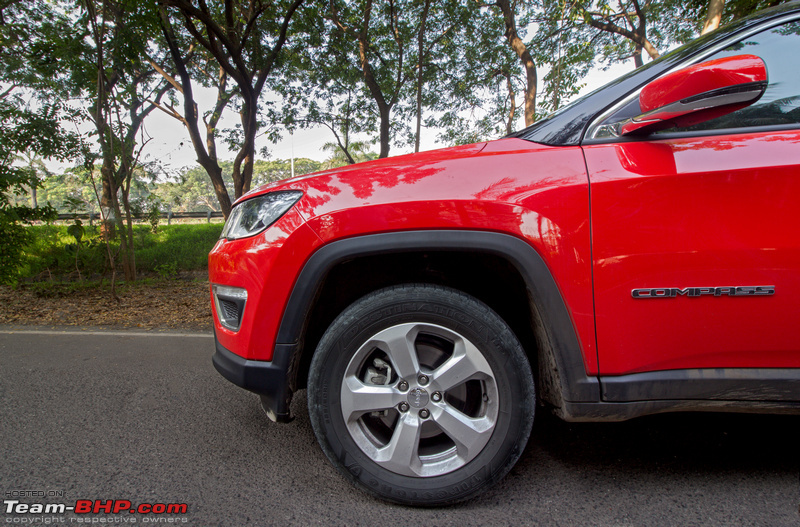 The Compass petrol gets 4 wheel disc brakes like the diesel. Even on the AT (lesser engine braking), we found the brakes to be satisfactory. Last edited by GTO : 12th December 2017 at 10:12. Thread moved from the Assembly Line to the Official Reviews Section. Thanks for sharing! Rating thread a full 5 stars. While the Compass diesel is my pick of the segment, it's not the case with the petrol DDCT. I found this engine + gearbox combination to be very 'meh'. 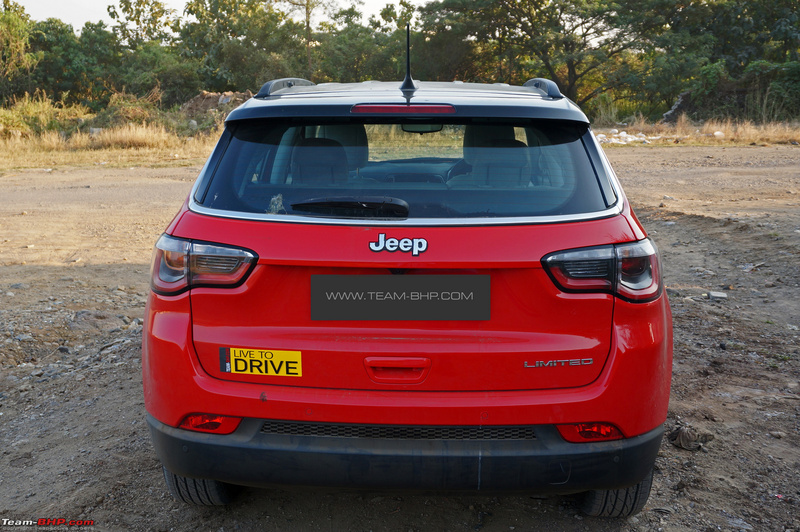 In the Compass diesel, that lovely 2.0L brings a lot of driving pleasure; the petrol AT isn't a patch on it. If I was looking at a Petrol AT crossover, I'd spend a little more and get the Tucson, or save big bucks and be happy with the Creta. Somehow, the Compass Petrol AT just didn't pull at the heartstrings as the Diesel did. For all the tech that this DDCT has, it's merely average. I know some torque-converter ATs that are superior. A big downer based on the expectations which many had from this petrol offering. But I would still say many would take it just for the shear emotional affinity to Compass, if they are looking at low running and hence a Petrol AT. If I was looking at a Petrol AT crossover, I'd spend a little more and get the Tucson, or save big bucks and be happy with the Creta. Crisp and short summary GTO! Thanks. . If I were looking for one, I'd pick the Creta petrol AT. It is incredibly refined the torque converter does not feel all that bad! Wish it becomes available in the SX(o) trim once the facelift arrives. 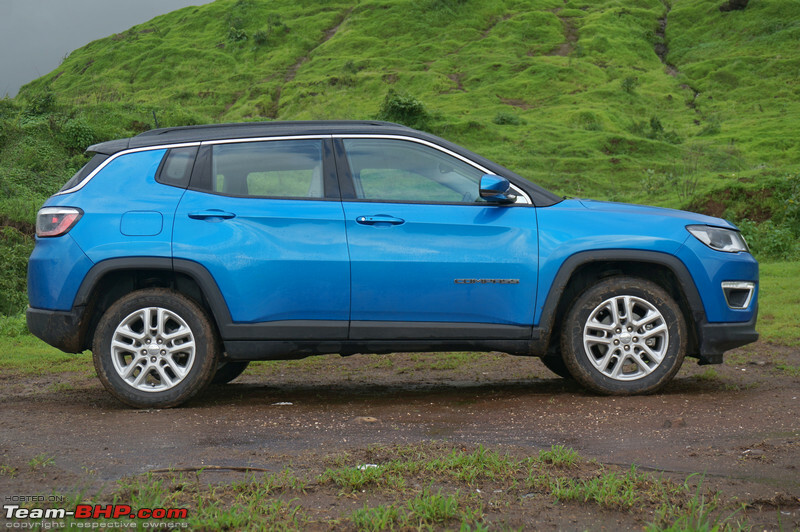 That said - Good thing then that Jeep is not using this gearbox in the upcoming diesel AT variant which should prove to be a more popular offering in the market as compared to the thirsty petrol AT. Also - any way the petrol manual variant will be better to drive than the AT? Manual is offered in the base Sport trim. With all the torque steer and predictable handling - should be a much better machine with a manual gearbox. Last edited by CrAzY dRiVeR : 12th December 2017 at 11:07. Isn't this a standard feature now on VW DSG cars ? AFAIK its there on my 2017 VW Ameo. Sweeeeeet feature indeed ! The engine+gearbox combo with the feature list (no paddle shifters, no cruise control, no AT is in the lower variants and No 6 Airbags) make the Creta and Tucson (at both ends of the price band) compelling and logical options. That being said, the Snob value of the Compass along with the fantastic design will pull many customers towards the Compass (at least the young urban folks who may not be concerned much about the VFM quotient). 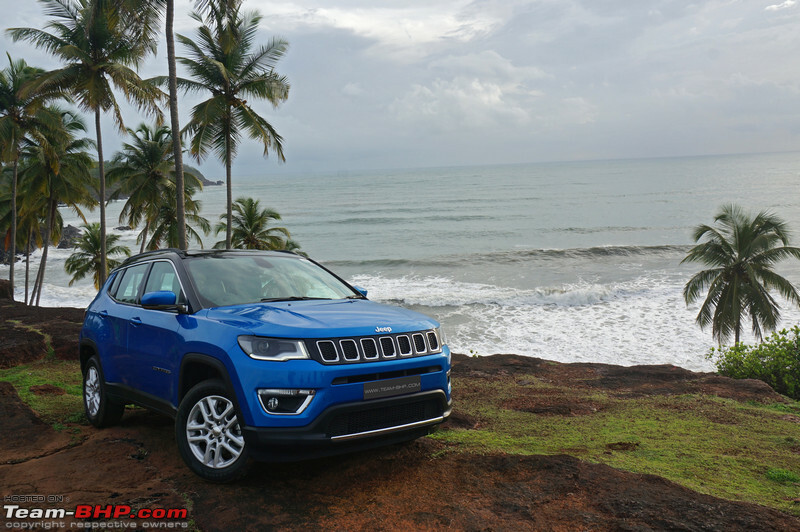 The Compass diesel had enough pizzazz to mask some of its shortcomings, and FCA had cleverly packaged it such that positives outshine negatives. But in this case it clearly gives a feel of made-to-cost approach. 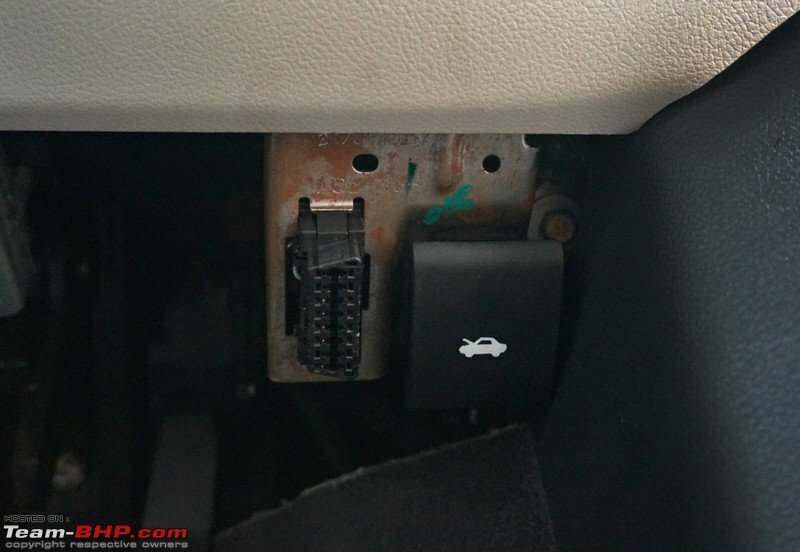 It’s an AT, but no sports mode, no paddles – really for a 20 lakhs vehicle!!? Yes, it's true all the DSG equipped cars shows which gear is engaged. Thanks for the review blackwasp. 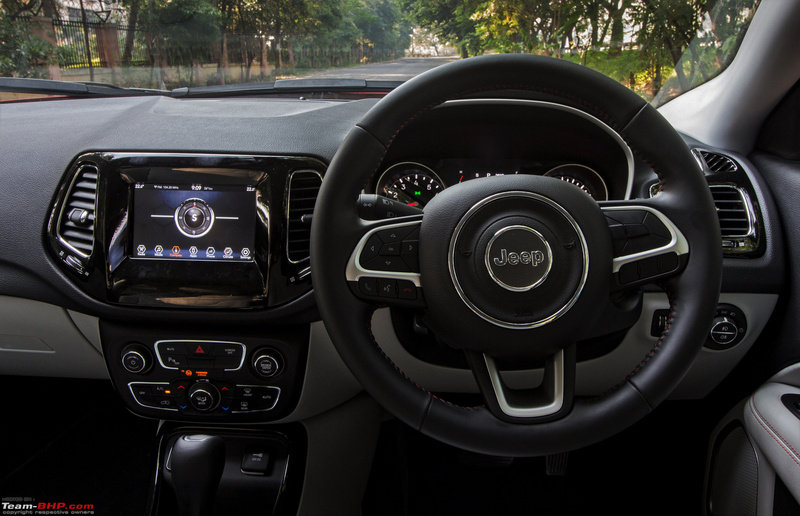 Expected the turbo petrol and a 7 speed Dual Clutch on a vehicle like the Compass to be a sweet package and an AT that would be enjoyable to drive. Disappointing to see it is not as accomplished as one would expect and missing both sports mode as well as paddle shifts is a downer. Still a good choice to have and I expect it to do well. Yup, has always been the case with VW DSG cars- In all modes clearly shows the gear you are in. Extremely useful.